Using this split, DMK wants to regain the seat which it lost in 2011 and prove that Thanjavur is the fort of DMK. Rangaswamy wants to avenge his disqualification and is cashing in on his familiarity with voters as MLA of the constituency from 2011-16 and again elected in 2016. 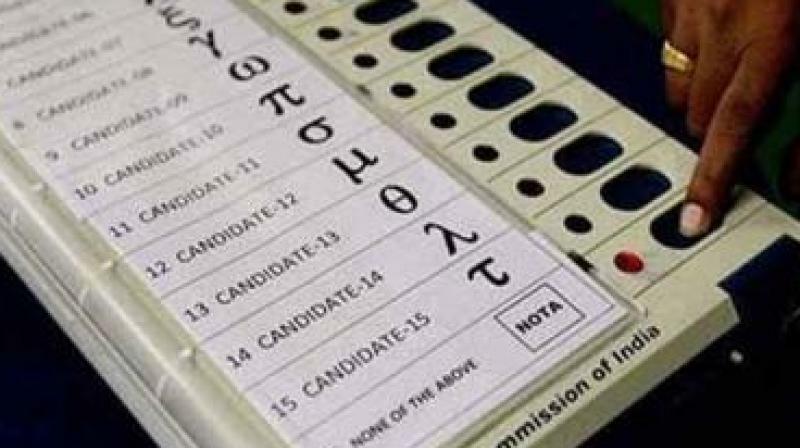 THANJAVUR: Stakes are high for AMMK and AIADMK in Thanjavur Assembly bye-election as it has been necessitated by the disqualification of M. Rangaswamy, now AMMK candidate and who won in the election to the constituency in 2016 as AIADMK candidate. Rangaswamy wants to avenge his disqualification and is cashing in on his familiarity with voters as MLA of the constituency from 2011-16 and again elected in 2016. On the other hand R.Gandhi, AIADMK candidate wants to win the seat to show that they are the real AIADMK. Using this split, DMK wants to regain the seat which it lost in 2011 and prove that Thanjavur is the fort of DMK. Both Rangaswamy (AMMK) and Gandhi (AIADMK) take credit in their campaign for all good things that happened during 2011-16 like upgradation of Thanjavur Municipality into a city corporation by the Tamil Nadu government, construction of new collectorate and SP office buildings, revival of car festival of Big temple, including Thanjavur in the smart city scheme and multi-specialty hospital building at Thanjavur Medical college. But T.K.G. Neelamegam, DMK candidate who was a former corporation councillor and town secretary of DMK says that in the name of smart city displacement of people-particularly craftspersons, artisans, folk artists and workers is taking place. “I will try to rehabilitate people and craftspersons affected in the implementation of smart city. Moreover there is rampant corruption in the use of funds for smart city. Unwanted shopping complexes are constructed only to help ruling party members. Heritage status of the town should be maintained while implementing smart city scheme” Neelamegam says. Caste wise, AMMK and AIADMK candidates belong to Kallar community while Neelamegam belongs to Yadava community. However, Neelamegam says that caste factor will not work in Thanjavur which has population of all castes particularly minorities like Christians, Muslims, Sowrashtras etc. “Caste factor never worked in Thanjavur. For example, Nadarajan one of the popular DMK MLAs, whose services are recalled even now belong to Wodayar community and S.N.M.Ubauathullah, who followed him is a Muslim. Ubayathullah who is a former state minister won four times in Thanjavur-1989, 1996, 2001, 2006” says Neelamegam. Candidates of Naam Thamizhar Katchi and Makkal Needhi Maiam are also in the fray. Residents of Thanjavur expect facilities to make Thanjavur a clean and green city. Their main demands include proper solid waste management and protection of environment. All the candidates assured to shift the compost yard at Jebamalaipuram to some other place. Under smart city scheme area wise solid waste management centres are planned. S.Muthukumar, a voter said that tourism improvement should be given priority and infrastructure for that should be developed. Smart city should be implemented without affecting the originality and heritage of the town. The election assumes importance as it will lead to either strengthen the present government or herald a change of power in the state.